"the best financial planners in Canberra"
Need Financial Advice in Canberra? Rise Financial is one of the few truly independent financial planning business because we have absolutely no conflicts of interest, so you can rest assured that any advice provided is in your best interest only. ​Contact us now using the link below to make an appointment for a Financial Check Up for $330. Comprehensive personal financial planning advice and wealth management for salary and wages earners, retirees, Australian ex-pats living overseas and business owners. Phil has been providing general advice to people since 2004 through a weekly column in the Canberra Times answering readers’ financial questions. Phil has been improving the financial literacy and understanding of many people by providing information on the financial planning industry through regular presentations to staff and members of schools, businesses, Government Departments and community groups. Phil has been a long standing member of the Financial Planning Association and has been actively involved at a local ACT Chapter level, filling the role of Chairman from 2002 to 2007. Phil has also been honoured by the Commonwealth of Australia, receiving a Bravery Medal from the Governor-General on behalf of Her Majesty Queen Elizabeth The Second. I’m the Managing Director of Bravium and have been providing professional financial advice to clients for over 10 years. 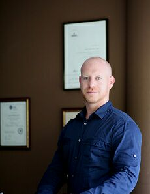 I’m a CERTIFIED FINANCIAL PLANNER® practitioner and a member of the Financial Planning Association of Australia (FPA). 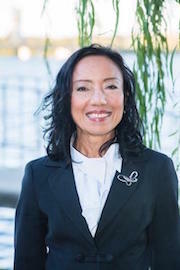 I’m also an Accredited Estate Planning Strategist (AEPS) and have been recognised as a member of the Australian Financial Review’s Smart Investor Top 50 Masterclass for Financial Planning in 2007 and 2009, 2011 and 2012. Bachelor of Science, University of Sussex – U.K. I have over 20 years experience providing financial planning and investment advice to private clients. I believe in sustaining strong client relationships. My unique approach involves financial coaching supported by monthly real-time reports so that you can compare your progress against the financial targets in your written plan. These targets align with your vision of your financial future. We have helped many Australian families build their wealth. As testament to my professional conviction, I won the 2007 NSW/ACT winner of the Financial Planning Association’s Value of Advice Award in the Wealth Accumulation category for helping a young couple to grow their wealth by 26 fold over 10 years. Beyond the financial outcomes that are achieved, my clients value advice in terms of securing quality of life and being emotionally fulfilled. I also provide financial education to the community by writing news articles and have contributed to financial magazines and newspaper advice columns. The purpose is to change people’s perspective on the importance of investing and planning to protect your future while enjoying the lifestyle you are used to. “The greatest value we get by working with Zuraida Ariffin Wealth Creation is having a written strategic plan to help us achieve our goals. We have honed our attitudes on managing money and we have clarity on how to get what we desire financially and non-financially. Craig joined National Mutual in 1995 via the Mentored Adviser Program and was the youngest adviser in National Mutual to obtain the Comprehensive Adviser level and accreditation. Since that time Craig has strived to increase operational efficiency throughout the growth stages, enhance the client experience and coach client’s throughout the various life stages. Craig is a CERTIFIED FINANCIAL PLANNER® practitioner. Ron holds a Bachelor of Management Studies and a Diploma in Financial Planning. He established Parker Financial Services in 1992 and is the Chief Executive Officer. Ron is a CERTIFIED FINANCIAL PLANNER® professional and a member of the Financial Planning Association. Ron has more than 25 years’ experience in the financial services industry, both in Australia and overseas. This experience, together with his expertise in managing large investment portfolios, has given Ron the edge when it comes to providing his clients with high levels of technical and financial advice. Ron has more than a passing fondness for a good red. He also loves skiing, golf, rugby [although his loyalties are divided between the All Blacks and Wallabies] and tennis. He also finds time to work in his vegetable garden and cook! Peter commenced his career in the financial services industry in 1972. Over a period of 21 years he gained extensive experience with a leading fund manager, including managing a network of 220 Advisers, business planning and nine years in Senior Executive management. 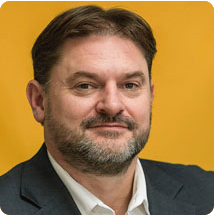 Peter joined Godfrey Pembroke in 1993, and is one of three Principal Consultants supported by a team of professionals in the Canberra – Deakin Practice. Peter was presented with the “Consultant of the Year for 2001″ award for Godfrey Pembroke and in 2002 he was the first consultant within Godfrey Pembroke to become ‘Quality Advice Accredited’. Acting with integrity, he adds value through delivering comprehensive financial and investment advice supported by ongoing client service. 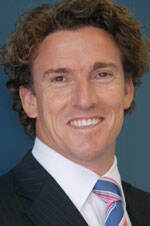 In 2011, the Rotary Club of Canberra presented Peter with the “Rotarian of the Year” award in recognition of his considerable efforts in the development of “Our Place – Live, Learn and Achieve”, a new ACT Youth Integrated Education and Accommodation Service for young homeless people committed to following a pathway to successful self sustainability. Peter is also a member of the board of the Foyer Foundation in Australia. John has well over a decade’s experience as a financial adviser. Companies such as Bovis Lend Lease and Macquarie Bank have utilised John’s wealth of experience and knowledge of the financial services industry. As a Certified Financial Planner and a strict ongoing training program, John is a technical expert in all matters in the financial planning field, specialising in wealth creation. John holds a Bachelor of Commerce, Diploma of Financial Planning as is also a CERTIFIED FINANCIAL PLANNER® practitioner. John is committed to not only providing the most effective wealth creation strategies, but also to provide regular assessments and reviews with clients to ensure outcomes are realised over the long term. We are a specialist service organisation. Dominic is Managing Director of Empire Financial Planning. Dominic has been in the financial services industry since 1989 and has been providing financial planning advice to clients since 1996. Dominic strives to make Empire Financial Planning unique in the way it views its clients – approaching their financial situation with a holistic attitude – it’s money management coupled with life goals and pursuits. Dominic enables clients to see the potential in their earnings to give them the future and lifestyle they seek. Providing the best possible advice and outcomes is paramount to Dominic in his role as Managing Director.